President Obama and Democrats don't think the wealthy are paying their fair share of taxes. They want to let the Bush tax cuts expire for the top 2% of wage earners. 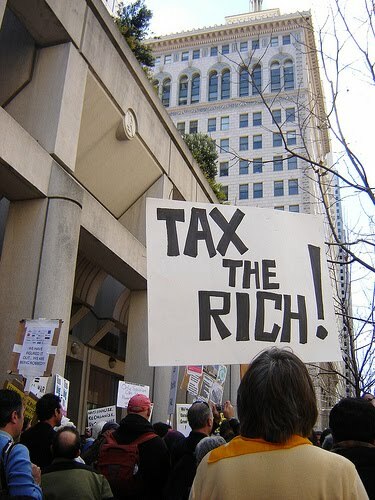 The top 1% now pay 40% of all Federal Income tax. Obama and Democrats plan to hike taxes on those making more than $250,000 a year. Many small businesses fall in that category. House Speaker Nancy Pelosi claims 97% of small businesses would have no change in their tax. This would mean no tax change for 98% of American families and at least 97% of small businesses. The claim 97% of small businesses would not be affected is disingenuous. It depends on how you classify a small business. The numbers Democrats tout include every part-time blogger, after work yard business and housewife with an eBay store. These are not the small businesses that are stimulating the economy and providing jobs. If you look full-time small business owners, 48% will be hit by the tax increase. They will likely reduce employees to cover this tax hike and reduce the expected revenue benefit. Oh and about that expected benefit. Annually, it will only cover 9 days of the federal deficit under optimistic projections.